Select one or more market types to search for specific markets across this category. 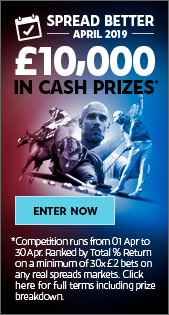 When it comes to tennis spread betting Sporting Index are the market leaders with good reason. With the widest variety of markets on tennis spreads and numerous unique bets you won’t find anywhere else, we offer bettors the most exhilarating way to enjoy spread betting on tennis. 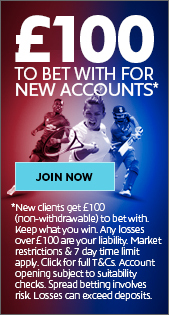 What’s more we offer in-play betting and you can cash-out on selected markets if you want to settle early. So browse our current tennis markets or if you’d like to learn about tennis spread betting you can find comprehensive resources in our Training Centre.